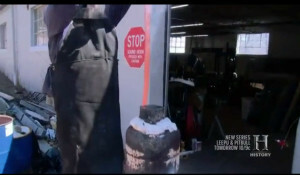 I was asked to commnet heat treatment shown in this episode. JOE, RICH, MATT, BILLY got a flat bar of steel and they had to make a knife from that. Let’s assume that is hypereutectoid steel like AISI 1095 (PN N9E) or AISI O1 (PN NMWV). High carbon tool steel is good quality nowadays and there is no need for forging this steel. In most of cases steel forged by cratsman won’t be any better than steel from ironworks, especially if that is high carbon tool steel. 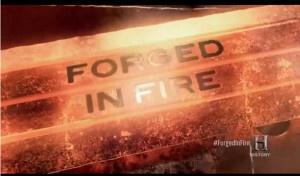 If I would be them I grinded that steel in right sharp istead of forging it. However grinding is not as entertaining as hammering and because of that those gentelmans start to forge. 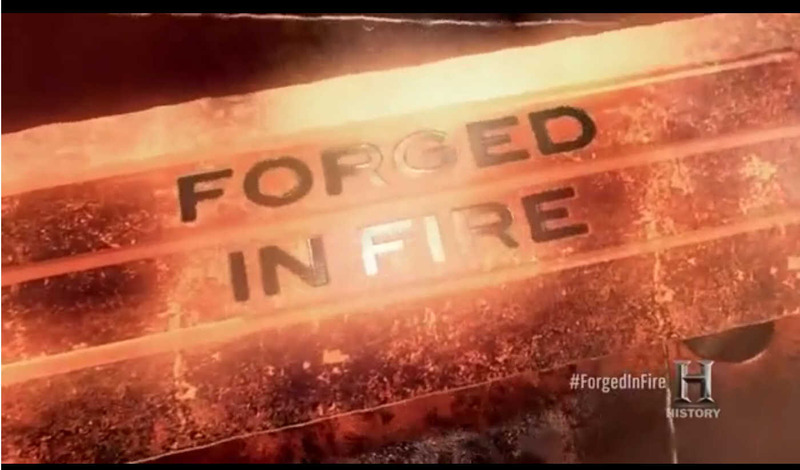 8:51 It is possible to grind forged steel with metal file. However this steel can’t be heat treated (or is heat treated in wrong way). 8:03 He is forging steel in too low temperature. It’s worng because it creates carbide network (what lowers thoughness of steel) and it’s quite hard to remove it in later part. Hypereutectoid steel shouldn’t be forged in temperature lower than 850 C.
11:06 It is possible to grind forged steel with metal file. However this steel can’t be heat treated (or is heat treated in wrong way). 7:55 I assume that’s heat treatment. You should not remove steel from oil while quenching. Maybe someone say someting about interrupted heat treatment and other things like that. However my opinion is: If you put thing in oil, keep it until it’s achieve temperature of oil. 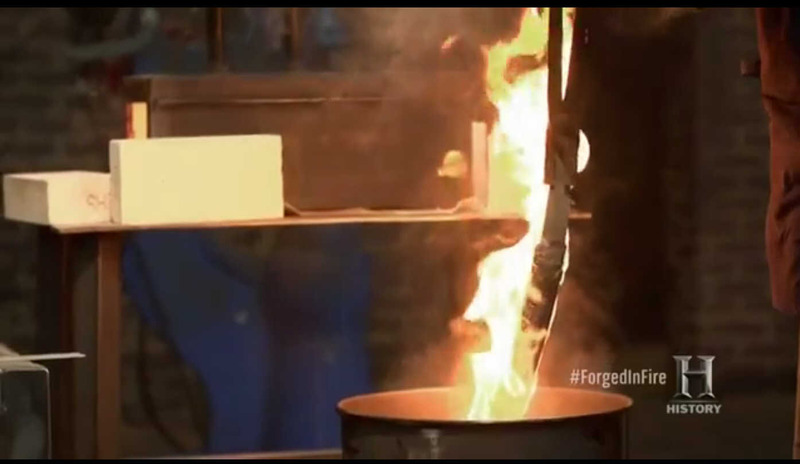 5:41 Why are you forging handle? More and more cycles of forging means higher probability of lowering steel thoughness. 8:57 It is possible to grind forged steel with metal file. However this steel can’t be heat treated (or is heat treated in wrong way). There are few reasons why steel get some cracks: bad heat treatment, bad forging and probalby lack of tempering. However the most probably one is try to fix bent steel. 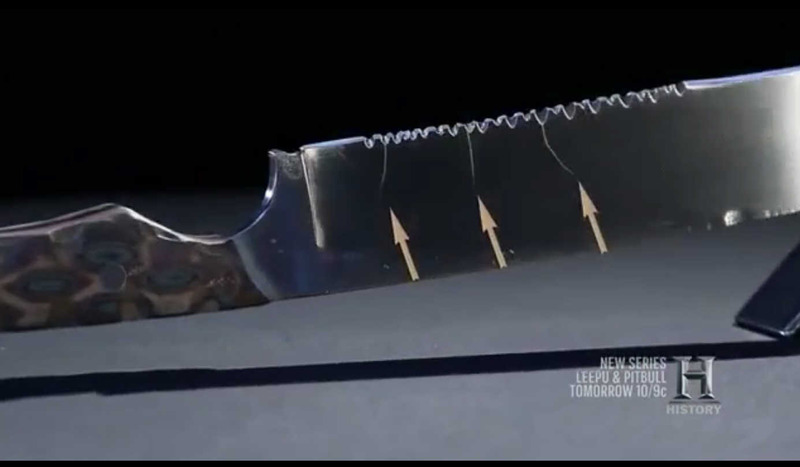 Of course cracks have their begining in serrations. Let’s assume every one of them was heat treated their blade. -Very agressive grinding. Pushing steel too hard makes surface layer to heat to the high temperature (uncontrolled tempering) and lead to another heat treatment (they grind steel until it start to glow!). This is common problem durring grinding and often result in network of cracks. -Someone wise said once that tool steel should be forged quickly and with high power. Taping is good for making decorations, but tool steel should be forged with huge sledgehammers, high power and low number of heating. However every one of them have forged with small, little hammer. Idea of cutting rope with serrated blade is controversial but that’s not my bussines. However if that was the task they should make as small serration as they can. Knife with largest dentition cut lowest amount of rope (RICH’s knife). The porcess of heat treatment wasn’t show so I cannot say that heat treament definitely was wrong. If three attemps is not enough to cut taut rope and every knife get good edge that mean that might be result of quick dulling of knives. And again they had acces to flat bar. And again I say that I would just cut and grind that steel instead of forginig it in fire. 30:20 Mechanical hammer is expensive stuff! We can see how strong steel it’s hit! That’s how tool steel should be forged! 30:25 No taping! This man uses his strengh to properly forge steel. 31:50 No hamons or anything like that. The blade is heated in salt-bath furnace. The salt-bath furnace gives better temperature distribution and temperature controll but it’s more dangerous to use. 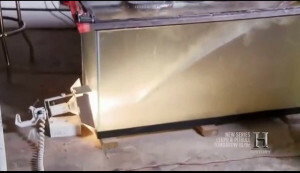 The vertical furnace don’t bring more stress durring heating and the blade don’t bend as much. It’s better way of dealing with long and frail things. Curve of the blade was created before hardening and without using clay. 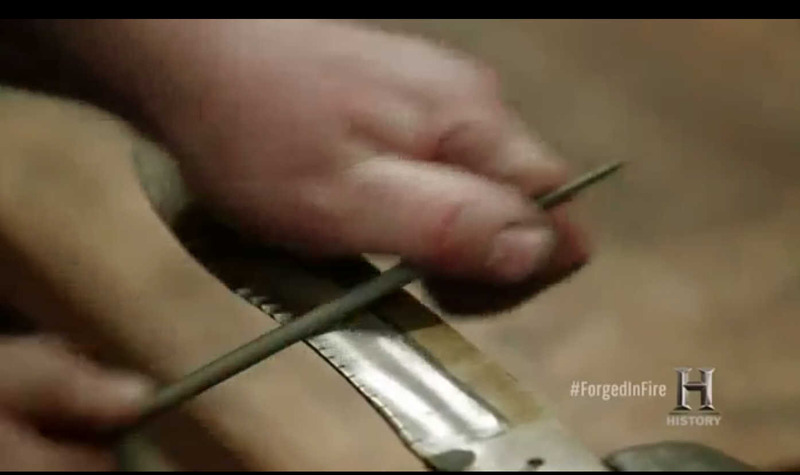 30:06 Tapping cold flat bar. 30:45 Dirty water! For quenching water should be clear and if it starts turbid one should replace it with clear. 30:52 The water for quenching MIGHT was heated. That’s right thing. Water is fussy quenchant. Moreover water from New York City is different and water from Warsaw is diffrent. Because of that water for quenching is distilled water with 5% of NaCl in temperature of 60 to 70 C. That will quickly cold steel and higher than normal temperature of liquid lowers vulnerability to cracks. 31:06 That man wanted to create curve of blade and hamon in same way as japanese blacksmiths. But why ever bother with annealing? It’s tiredin! I wrote post about it: http://blog.melontools.com/obrobka_cieplna/odprezanie_zmiekczanie/ Moreover lowering vulnerability to craking and deformation it’s good reason to do annealing. -shoting in blade? Sure it’s look exciting but that’s not good test. If that’s bullet without metal jacket (and that’s almost sure) that test would be passed by piece of spring (again) and Victorinox kitchen knife. I thank mister MrAnderson for translating.